Located in Toronto’s financial district at Yonge and Wellington, one of downtown’s custom tailor shops, Garrison Bespoke, has caught the attention of tons of international media earlier this month. Using nanotechnology, this three-piece pin-stripped custom-tailored suit is lined with carbon nanotube material and can stop a bullet by dispersing the energy of the impact like how a soccer net stops a soccer ball. I talked to David at Garrison Bespoke and according to him it’s the first time he’s aware of Canadian fashion making news in GQ. 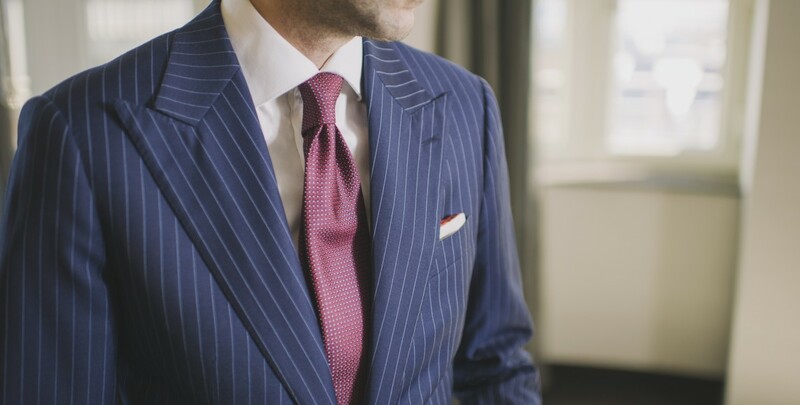 “After receiving requests from high-profile clients who travel to dangerous places for work, we set out to develop a lightweight, fashion-forward bulletproof suit as a more discreet and stylish alternative to wearing a bulky vest underneath,” said Michael Nguyen, co-owner and bespoke tailor of Garrison Bespoke. The custom-made bulletproof suit starts at $20,000.